"Located on State Highway 45. 100,000.00 per acre. Farmland"
"-McCarthy Estate- Through the Iron Gates into this 24 acre Sprawling Estate featuring 2 Stone Tudor homes with over 4,000 Sq Ft in Each Home with Breath taking Gardens that are looking to be revived again. The Main home features 12 rooms, 6 Bedrooms, 3.5 Baths, 3 stone fireplaces, One Fireplace Originally came from a 1600 Italian castle. Covered porch, slate patio areas, circular driveway, newer roof shingles and newer gas Weil-McLain hot water boiler heating system. The Guest home features 4,369 Sq Ft, 14 rooms, 6-7 bedrooms, 4.5 baths, 2 fireplaces, 2 courtyard patios, 1 garden area, 1 covered patio, newer 5 zone gas Weil-McLain boiler heating system. Also featured is a 60x23 6 car block garage, 60x12 barn type building, old tennis court, gazebo, 20x60 concrete built-in pool and a pump house with deep well. The detached Stone 23x21 Art Studio that is highlighted by the Beautiful lead glass windows, cathedral ceiling, 2 new skylights, newer roof shingles, flagstone flooring and a stone wood burning fireplace. This great space with endless possibilities also feature a basement that was used as a Speakeasy back in its day. This area is also heated by another newer hot water boiler. The attached 26x17 Glass Greenhouse is also heated by the hot water boiler. The scenic grounds of this 24 acre estate have subdivision potential with the massive amounts of road front on Wenonah Ave, McCarthy Ave and Mantua Blvd. This property would be a perfect Family compound. Both homes feature original custom features throughout the homes and the grounds that are looking for the right new owner that will bring this magnificent estate back to life!!" "Here is your opportunity to be the first to live in this custom home in the coveted and prestiguous Meyers Creek neighborhood! 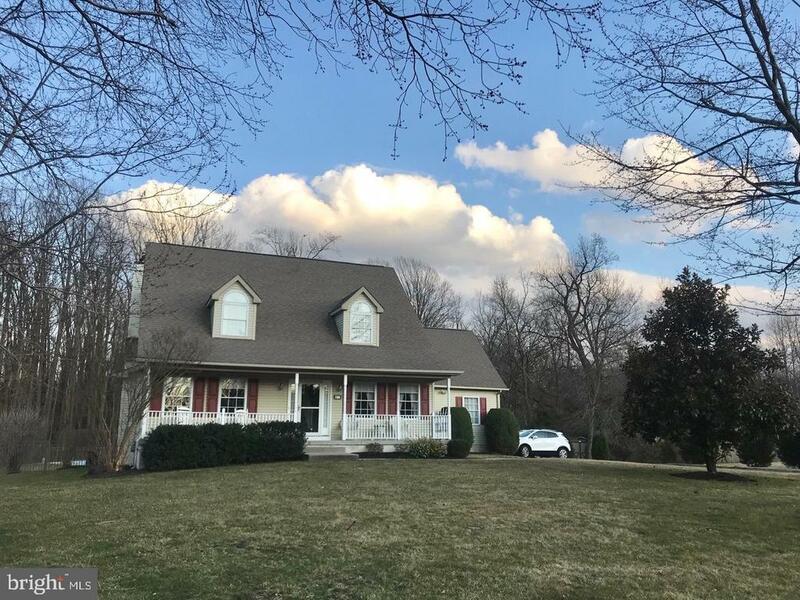 Situated on 3 acres in a quiet cul-de-sac, you~ll find a completely renewed 4 bedroom, 4 full bath home consisting of an open floorplan, quality materials and meticulous attention to details. Entering through the front door you are greeted with a 2-story grand foyer which is flanked by the formal living room and generously sized dining room adorned with crown molding and chair rail. Just off the dining room, you~ll find the expansive kitchen which flows right into the bright 2-story family room and the cozy kitchen nook, each with their own gas fireplace. The openness of this layout makes this home ideal for entertaining! The kitchen consists of 42~ cabinets, gorgeous quartz countertops, oversized island, custom backsplash, a huge walk in pantry and a stainless-steel appliance package. Tucked away off the kitchen is a private study. To complete the first floor there is an in-law suite with a full bathroom, large walk in closet, and its own private entry from driveway. On the upper level of this executive home is the impressive master bedroom which boasts a tray ceiling, 2 spacious walk in closets, a sitting area and a lavish full bath which includes a double vanity with built in make up vanity, a soaking tub, a spacious walk in shower and private toilet room. Down the hallway of the 2nd floor, is the conveniently located laundry room, a sizable hall bath, 2 bedrooms and a princess suite with its own full bath. Additional amenities of this home include engineered hardwood throughout first floor, dual zoned HVAC, ceramic tile flooring and tub/shower tile surrounds in all bathrooms, new maintenance free composite deck, 3 car garage, new stucco and stone exterior and a full walk up basement with underslab rough-in for future bath ready to be finished in its new owners style. Don~t miss your opportunity to own this amazing, like-new home!" "Picture Perfect Farm. Check out this very well maintained 29.74 /- acre preserved farm with immaculate 4 bedroom, 2 1/2 bath farmhouse and outbuildings. The farmhouse boasts updated kitchen with stainless steel appliances, heater (4 years old), (2) air conditioning units, Jacuzzi tub in the master bedroom, updated electric and much more... This preserved farm includes (1) 1.00 /- acre non-severable exception and (1) 1.63 /- acre severable exception (includes farmhouse, outbuildings). The soil types are predominantly Freehold and Westphalia sandy loam and there is a 300' foot well (4 casing) with a 5 hp submersible pump and 1000'of underground 3 main for irrigation. The owners will be installing a new individual subsurface disposal system meeting all requirements and standards and new air conditioning upstairs." "HOME IS BUILT & READY TO GO! !When Only the Best Will Do...Absolutely Gorgeous describes this Architectural Masterpiece located in the Incredible, elegant Legends at Mantua Community. 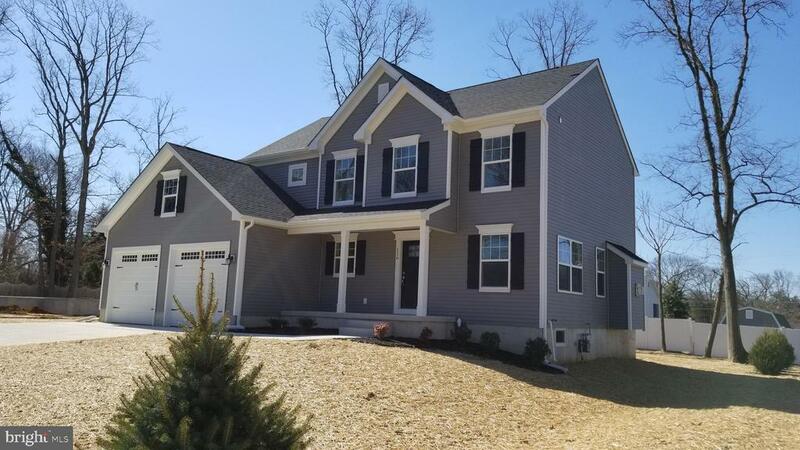 This Contemporary Darby model home has over $75,000 in upgrades. The front elevation is dressed in vinyl siding. The entrance has a dramatic entry foyer with luxurious details on the inside. The builder is looking for your total satisfaction, no cutting corners here. The first floor layout includes a sun drenched gorgeous gourmet kitchen. Featuring 42 raised panel dark maple kitchen cabinetry, Corian Quartz counter tops, Center Island and stainless kitchen appliances included; with a breakfast area that includes a 3' kitchen extension. Other rooms include a spacious family room with gas fireplace, dressed with slate surround and wood mantel, formal living & dining rooms, 1st floor office, laundry room and a powder room. The 2nd floor features 4 spacious bedrooms, master suite with upgraded flooring with two large walk-in closets and hall bath. The builder will go over all details at your meeting. There is also a full finished walk-out basement; with a half bath, 2nd family room and game room. The only thing missing is the pool. Other amenities include 9'ceilings on 1st floor & 9' walk-out basement, 2car side entry garage, vinyl siding exterior with architectural dimensional 30yr roofing, Kohler fixtures, 3 zoned HVAC, recessed lighting, wainscoting & crown molding, 4~ hand scraped hardwood flooring in foyer, kitchen & Dining rooms, ceramic flooring in bathrooms, GE appliances including caf~ range, convection double oven, rain head showers with frameless shower doors in the master bath. All on a 1 acre lot with public water & sewer. Home is accessible to all major highways and shopping centers, close to Philadelphia, Delaware and Atlantic City with Rowan University only 15 minutes away. The home completion date is the end of August, just in time for the start of school. Commission is bas"
"Welcome home to the desirable community of Mantua Farms! 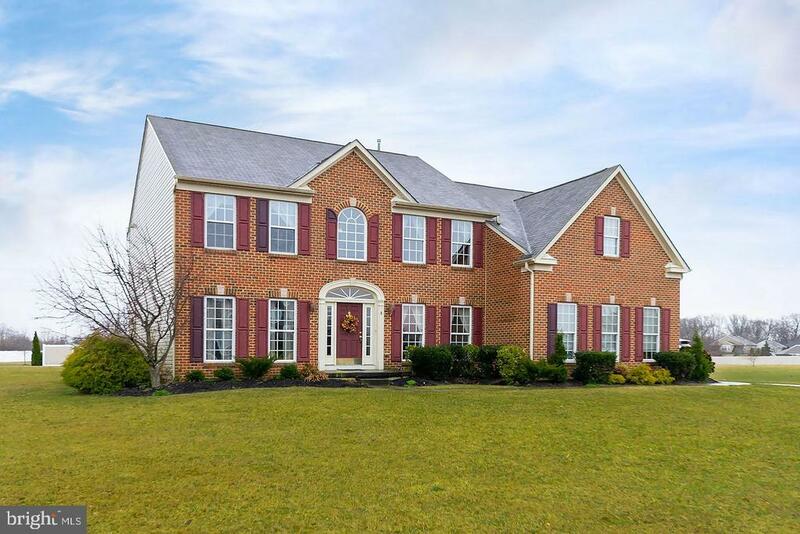 This spacious two story brick colonial has everything you need! This home features beautiful wood flooring in the Foyer, hallways, kitchen and morning room. Lush carpeting and gorgeous designer d~cor in Living and Dining room, accented with custom trim and large windows. Off the foyer is the perfect office or library area accented with French doors. The fabulous kitchen, the heart of the home with Hardwood flooring, plenty of counter space and cabinetry, over-sized island, a walk-in pantry, recessed lighting and open to the beautiful vaulted morning room with floor to ceiling windows allowing for plenty of natural light. Neutral carpeting invites you into the spacious Family room with vaulted ceilings, a gas burning fireplace flanked by extra-large windows and a convenient back staircase. The upper lever is where you will find the 3 large bedrooms and a main bath plus the master suite. The Master Suite features gorgeous paint accents, an amazing sitting room, tray ceiling, 2 large walk in closets. The Master Bath features a garden tub, dual vanities, glass enclosed shower and more. The Finished basement has plenty of living space, along with a storage room and features a media room area, game area and exercise area accented with recessed lighting and neutral carpeting. A great place for entertaining all year round! Step outside and enjoy the fantastic paver patio overlooking this beautiful 1 acre lot! Don't miss this exceptional home in an exceptional development! Serviced by Clearview school District. 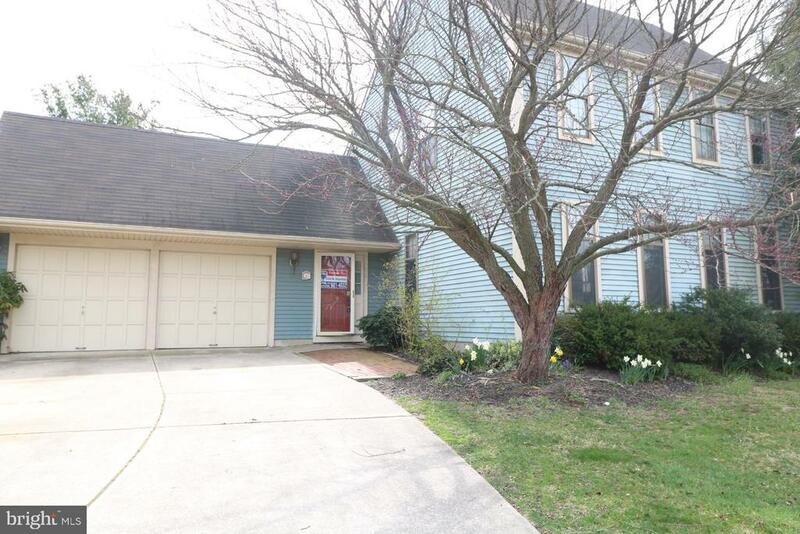 Close to shopping and dining, Rowan University and Route 55." "HOME IS BUILT & WAITING FOR YOU!! When Only the Best Will Do...Absolutely Gorgeous describes this Architectural Masterpiece located in the Incredible, elegant Legends at Mantua Community. This Contemporary Arlington Traditional model home has over $60,000 in upgrades. The front elevation is dressed with partial stone and vinyl siding. The entrance has a dramatic entry foyer with luxurious details on the inside. The builder is looking for your total satisfaction, no cutting corners here. The first floor layout includes a sunny & bright gorgeous gourmet kitchen. Featuring 42 raised panel birch kitchen cabinetry, granite counter tops, center island and stainless kitchen appliances; with a breakfast area that includes a 3' kitchen/breakfast extension. There is a sun drenched conservatory; with a spacious family room with gas fireplace, dressed with slate surround and wood mantel. Finishing out the first floor layout includes a formal living & dining room and a powder room. The 2nd floor features 4 bedrooms, master suite w/tray ceiling, upgraded ceramic flooring, two large walk-in closets and hall bath. There are more amenities/add-ons that can be purchased. The builder will go over all details at your meeting. Other amenities include front porch, 9'ceilings on 1st floor & 8'ceilings in the basement, 2car side entry garage, stone/vinyl siding exterior with architectural dimensional 30yr roofing, Kohler fixtures, two zone HVAC, recessed lighting, wainscoting & crown molding, 4~ birch hand scraped flooring in foyer, powder room & kitchen, ceramic flooring in bathrooms, 2nd floor laundry room with laundry tub, GE appliances, all on 1 acre lots. Home is accessible to all major highways and shopping centers, close to Philadelphia, Delaware and Atlantic City with Rowan University only 15 minutes away. Home is now completed and ready for occupancy. There are only 2 homes left in this beautiful community. SHOW & SELL!! Commission is based on the base price of the home. Truly a M"
"Stunning contemporary home situated on a professionally landscaped one acre setting. Main level features foyer & entry hallway with hardwood floors. Over sized, disability accessible, master bedroom suite with seating area, huge walk-in closet , ceiling fan, linen closet, whirlpool tub, separate walk-in shower, radiant-heated bathroom floor and heated towel rack. Possible in-law suite. Formal dining room with hardwood floors, crown molding and chair rail. Kitchen with separate dining area overlooking the rear yard & pool through large bump-out windows. Stainless steel appliances, garbage disposal, granite counter tops, maple cabinets, tile back-splash, radiant-heated tile flooring. Living room with new hardwood floors, wood burning fireplace and French doors leading to sun room with vaulted ceiling & fan, radiant-heated ceramic tile floor and sliders leading to wrap-around, newly refinished, raised trex deck. Upper level features 2nd master bedroom/bathroom en-suite with walk-in shower, two zone heating/cooling and walk-in linen closet. Third bedroom, 4th bedroom with wonderful view of the pool, plus an office/possible nursery. Ample closets in each bedroom and office as well as storage closets. Custom blinds & window treatments throughout. Access to attic storage in hallway. Full basement (1,444 sq. ft.) with exercise room with storage closet and a large family room, powder room and access to rear yard and pool. In-ground heated pool with spa bench, stamped concrete patio surround. Two car garage, wood shed with new roof, sprinkler system. Many more amenities in this beautiful home in a quiet cul-de-sac of custom built homes, ending near Mantua Creek. Easy access to Rt. 295 & 20 minutes to Philadelphia." "SPECIAL OFFER: For a limited time, take $10,000 off options on all Section 1 homes. The Village of Country Gardens in Mantua Township, NJ, is an active adult community of new homes! 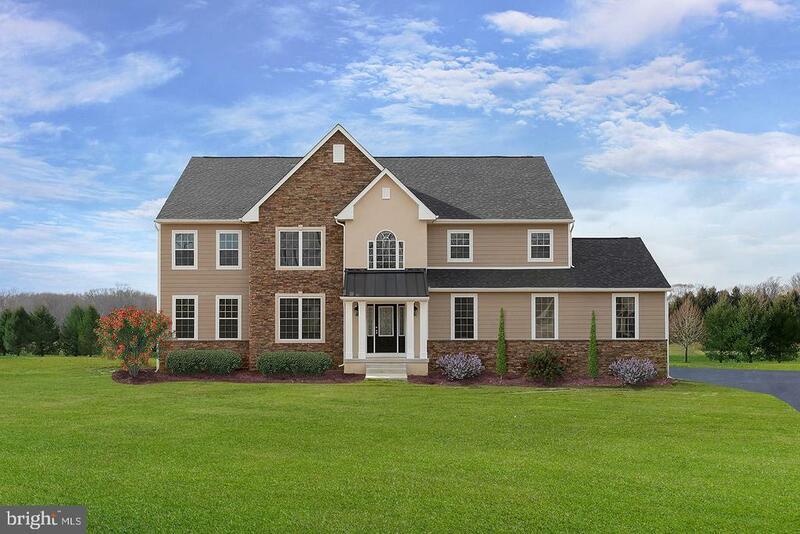 This clubhouse community in southern New Jersey will offer you the chance to build a brand new single family home in an exclusive 55 and over neighborhood,situated in the heart of Mantua Township, Gloucester County NJ. Country Gardens is located right off of Lambs Road, one mile from Route 55, offering a quick commute to Philadelphia or the Jersey Shore. Shown here is the Magnolia II model that is available to be built. It is one of six available floor plans each with three beautiful elevations to choose from." "SPECIAL OFFER: For a limited time, take $10,000 off options on all Section 1 homes. The Village of Country Gardens in Mantua Township, NJ, is an active adult community of new homes! This clubhouse community in southern New Jersey will offer you the chance to build a brand new single family home in an exclusive 55 and over neighborhood, situated in the heart of Mantua Township. Country Gardens is located right off of Lambs Road, one mile from Route 55, offering a quick commute to Philadelphia or the Jersey Shore. Shown here is the Applewood model that is available to be built. It is one of six available floor plans each with three beautiful elevations to choose from." "NEW CONSTRUCTION with an open farmhouse feel. 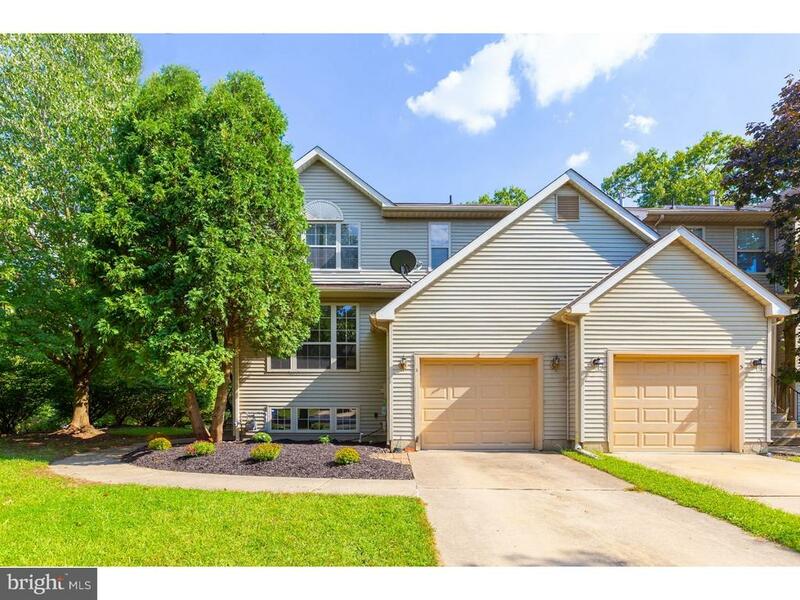 Many fabulous features are included inthis Mantua Township new four (4) bedroom home, including a full basement, 2-CAR garage with a concrete driveway. This home~s ~open concept~ plan combines the kitchen, dining area and family room creating one open area with plenty of natural light. Stylish laminate floors flow throughout the entire first floor complimenting the well-designed kitchen featuring Shaker style white cabinets including an oversized island, stainless steel appliances, granite counter tops and a tile backsplash. The spacious family room features a direct vent gas fireplace with a custom stone fireplace finish. The upstairs combines a generously sized Owner~s Suite along with three additional bedrooms. The Owner~s Suite features a walk-in closet and a well-appointed bathroom which includes a granite vanity top with two (2) separate sinks, and tile shower walls with a glass shower door. The hall bath features a tile tub/shower and double bowl vanity. The laundry room is conveniently located upstairs central to the bedrooms. This home boasts energy conscious features including a 93% AFUE furnace, 13 SEER A/C, high efficiency water heater, insulated 2x6 exterior walls, R49 ceiling insulation and basement wall insulation. Thehigh and dry basement will be perfect to finish when looking to add space in the future.Numerous electrical, plumbing, trim and other features are also included. Don~t miss thisopportunity! Photos are a combination of this home and of others the seller has we have built. Please seeattached spec sheet for details for this home or schedule a visit today!!!" 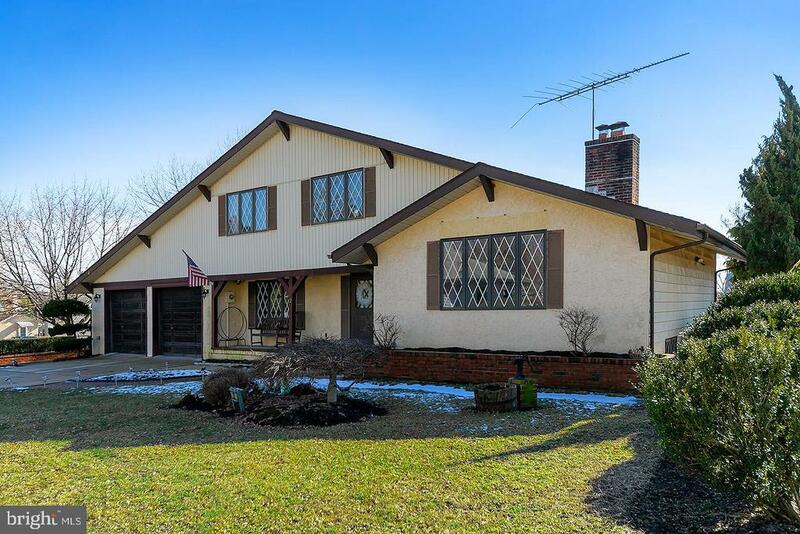 "Drive right up to 6 Merion Way in West Deptford and try not to fall in love! As soon as you walk through the front door, you~ll notice the warm hardwood floors that continue into the bright and welcoming dining room. As you step into the kitchen, you~ll adore the unique tile backsplash and large wooden cabinets. There~s plenty of natural lighting and opportunities to admire the vast outdoors as you cook your favorite meal. The kitchen includes updated appliances, and granite countertops! The open floor plan allows you to see the family room comes complete with a fireplace for cozy days indoors. Once you step outside of the large doors located inside the family room, you~ll be wowed by the large, private deck situated in the wooded backyard with plenty of room to enjoy the outdoors with loved ones or friends. If you~re an avid lover of reading or need a large space for your profession, you~ll enjoy the expansive bookshelf and spaciousness of the HOME OFFICE. Working from home couldn~t be more enjoyable with the beautiful view that the oversized windows provide in this space. As you walk upstairs the carpeted staircase and onto the second floor, you~ll be thrilled by the large master bedroom, which comes with a beautifully-crafted en-suite bathroom. You~ll enjoy relaxing in the Jacuzzi tub that is connected to this luxury space~ which provides plenty of privacy. As you venture out further on the second floor, you~ll notice that there are three additional bedrooms which offer plenty of space and natural lighting. A beautifully finished basement with hardwood floors throughout awaits you as you step downstairs. This space can be used for a variety of purposes. The large backyard can be used to host an array of events, or can simply be used as a way to relax outside on warmer days. Located close to Philadelphia, you can enjoy day trips to the City of Brotherly Love with ease. Schedule a tour today and call this dream home yours!~~"
"SPECIAL OFFER: For a limited time, take $10,000 off options on all Section 1 homes. The Village of Country Gardens in Mantua Township, NJ, is an active adult community of new homes! This clubhouse community in southern New Jersey will offer you the chance to build a brand new single family home in an exclusive 55 and over neighborhood, situated in the heart of Mantua Township. Country Gardens is located right off of Lambs Road, one mile from Route 55, offering a quick commute to Philadelphia or the Jersey Shore. Shown here is the Magnolia I model that is available to be built. It is one of six available floor plans each with three beautiful elevations to choose from." "SPECIAL OFFER: For a limited time, take $10,000 off options on all Section 1 homes. The Village of Country Gardens in Mantua Township, NJ, is an active adult community of new homes! This clubhouse community in southern New Jersey will offer you the chance to build a brand new single family home in an exclusive 55 and over neighborhood, situated in the heart of Mantua Township. Shown here is the Juniper model that is available to be built. It is one of six available floor plans each with three beautiful elevations to choose from." "SPECIAL OFFER: For a limited time, take $10,000 off options on all Section 1 homes. The Village of Country Gardens in Mantua Township, NJ is an active adult community of new homes! This clubhouse community in southern New Jersey will offer you the chance to build a brand new single family home in an exclusive 55 and over neighborhood, situated in the heart of Mantua Township. Country Gardens is located right off of Lambs Road, one mile from Route 55, offering a quick commute to Philadelphia or the Jersey Shore. Shown here is the Hawthorn model that is available to be built. It is one of six available floor plans each with three beautiful elevations to choose from." "Bring Everything! Bigger is better! Absolutely gorgeous best describes this two story contemporary/colonial home. 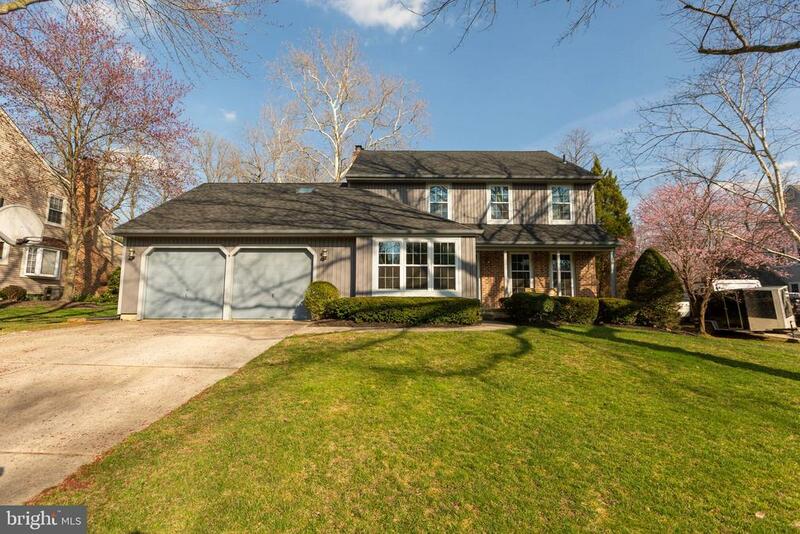 Situated on a professionally landscaped setting and located in a sought-after wooded & private section of Mantua Township. Expect to be greeted with an open foyer with hardwood flooring and neutral decor. The flow, the room sizes and the bright & airy design make a great first impression. Home also features 11 spacious rooms for generously scaled living. The updated sunny and bright gourmet Kitchen will be the focal point of your visit. You will fall in love with the abundance of custom cabinet and countertop space. There is a breakfast area, new flooring, skylights, cathedral ceilings, recess lighting with all kitchen appliances included. Additional rooms on the 1st floor include the formal living & dining rooms, a spacious family room with wood flooring & fireplace. There is also a home office, playroom/in-law suite, laundry room and powder room. The 2nd floor features three spacious bedrooms and two full baths. The master bedroom has a spacious walk-in closet and features a beautiful bath and tile flooring. Your family will enjoy all the spaciousness this home has to offer. The finished walk-up basement features a spacious great room with a custom built-in bar for all your future gatherings. If you love entertaining, visit the incredible backyard featuring a large deck surrounded by mature beautiful plants with the spring flowers ready to bloom. While surrounded by seclusion & privacy; the only thing missing is a pool. 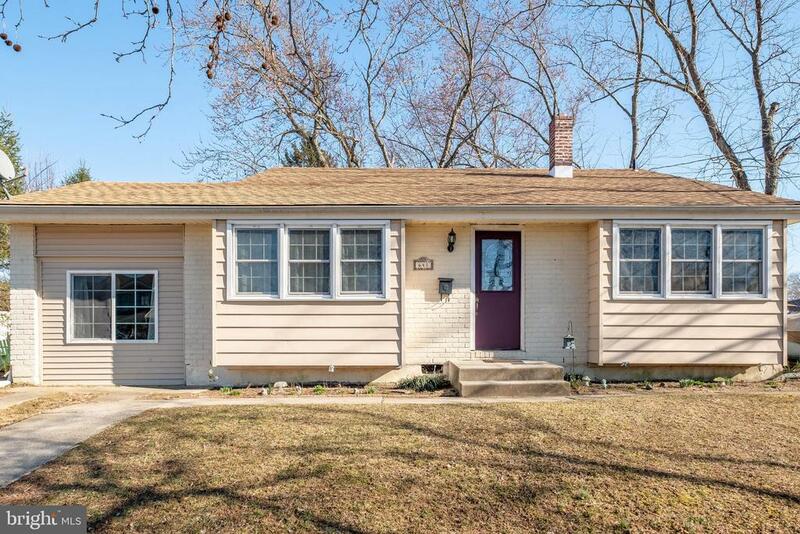 Additional amenities include a front porch, newer heating & air, finished basement, Pella front door, wainscoting, large deck, maintained front and back yard with great curb appeal. This home has so much to offer, and the owners have invested a small fortune! Move right it, nothing to do but bring your possessions. Ask your agent about the USDA mortgage & Home Seekers programs. They are both available in this area; no money down with lo"
"SPECIAL OFFER: For a limited time, take $10,000 off options on all Section 1 homes. The Village of Country Gardens in Mantua Township, NJ is an active adult community of new homes! This clubhouse community in southern New Jersey will offer you the chance to build a brand new single family home in an exclusive 55 and over neighborhood, situated in the heart of Mantua Township. Country Gardens is located right off of Lambs Road, one mile from Route 55, offering a quick commute to Philadelphia or the Jersey Shore. Shown here is the Rosewood model that is available to be built. It is one of six available floor plans each with three beautiful elevations to choose from." "Beautiful 3 bedroom, 2.5 bath custom built home! The oversized 2 car garage has heat, electric, and a bathroom! The yard is beautifully landscaped with a spacious deck, an above ground pool, and shed with electric. The large eat-in kitchen features plenty of counter and cabinet space, large pantry, recessed lighting, matte stainless-steel appliances, and sliding glass doors leading to the deck. The living room features cathedral ceilings and a fireplace with a brick hearth. There is a formal dining room with cathedral ceilings and a sliding glass door that leads to the deck. The family room has large built in entertainment center. The master bedroom features custom built storage, dressing area, and en-suite bath. There are two additional bedrooms and 1 full bathroom. There are laundry chutes to the first-floor laundry room in the bedrooms. Additional amenities include, new flooring, oversize double driveways, new HVAC system, 4 zone gas heat, sprinkler system, Pella windows and sliding glass doors, and a finished basement! 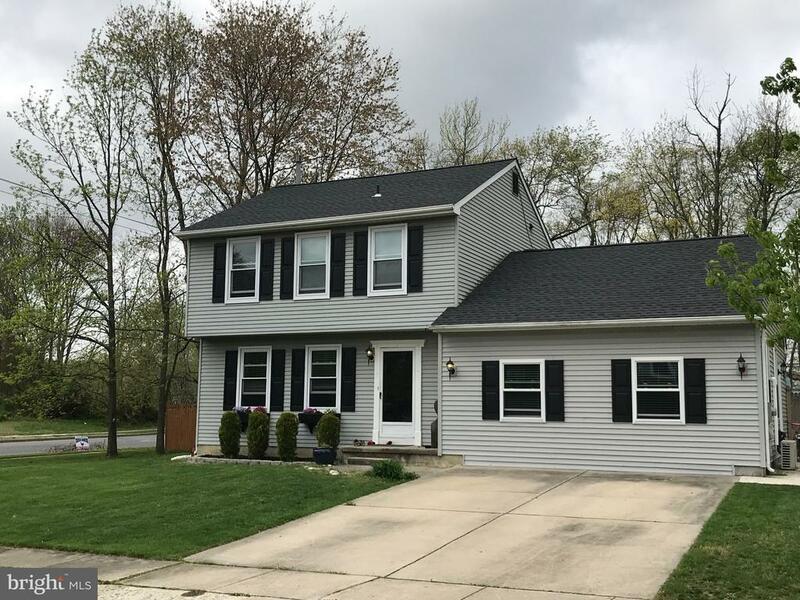 West Deptford Township has access to the Riverwinds Community Center and close to major commuting routes, shopping, restaurants, libraries, parks and recreation, and more!" "Welcome to desirable Meravan Farms in West Deptford. 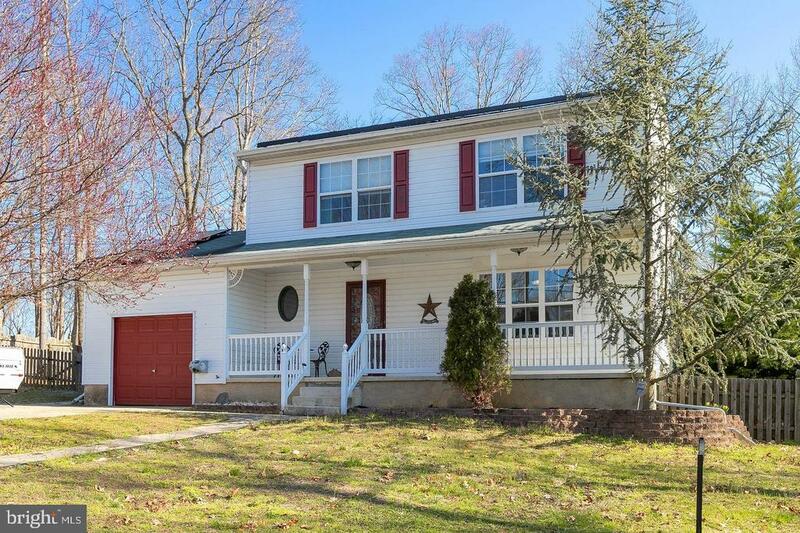 This 4 bed 2 1/2 bath home is in need of your imagination to make this your dream home. Walk out the back door to your own personal paradise with a covered wooden patio and inground pool within a fully fenced in yard. Don't miss this opportunity." "Brand new roof with GOLD PLEDGE WARRANTY IS FOR LIFE AND IS TRANSFERABLE! NEW HVAC ALSO BEING INSTALLED on 4/24. If full price is offered sellers are offering buyers $4,000 sellers concessions to be used for closing costs, upgrading the bathroom or anything of your choice! 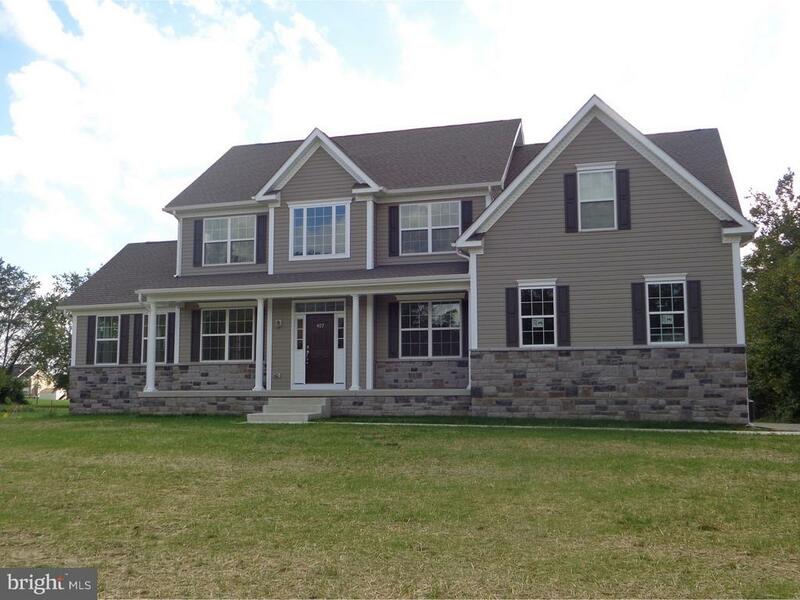 Welcome to your new home located in Royal Oaks in Mantua! Enter onto gleaming hardwood floors which wrap around the living room and into the newly remodeled and reconfigured eat-in- kitchen. Natural light will flutter into the new front windows as you make your way to the coffee/wine bar. Seat yourself in the dining section of the kitchen or at the corian countertops that sit a top gorgeous oak cabinets that contain slow closed drawers. Appliances are all stainless steel and the refrigerator is tucked in between a double pantry making storage options limitless. 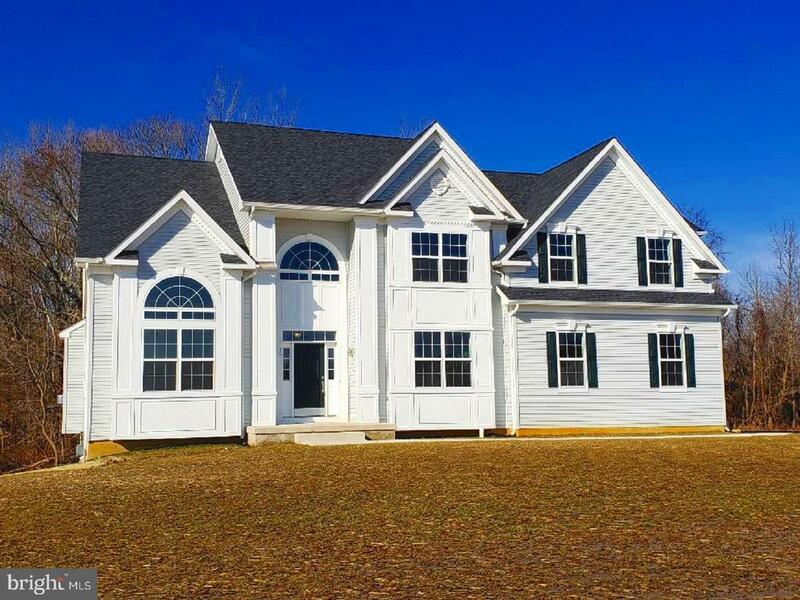 This home features a newly constructed humongous 24 by 20 multi purpose family room! It's finished off with beautiful windows, a wide exterior door that leads to the side yard, recessed lights, ceiling fan, and dark laminate floors. The first floor also includes an updated bath and laundry room. Upstairs features 3 bedrooms with the master connecting to the full bathroom. Home also includes a finished basementthat just needs to be completed with flooring of your choice. Once you open the back door to your gigantic corner lot property you will spot a mini floating deck, a half sized basketball court, and fencing on all sides. 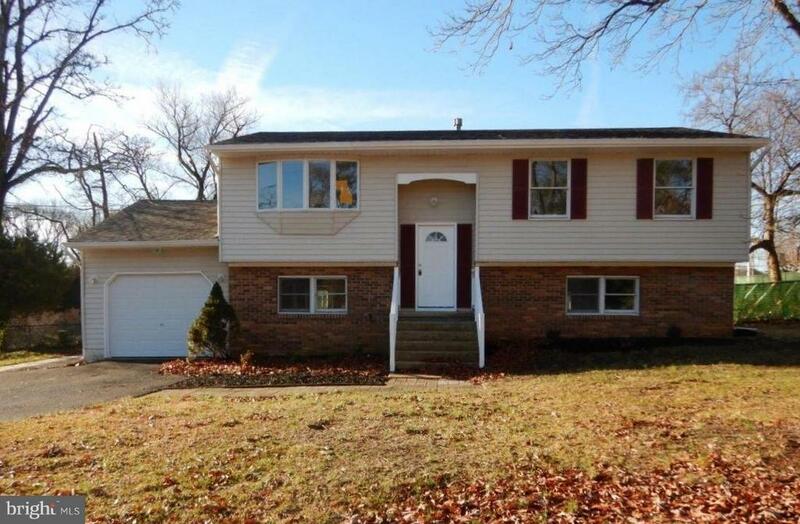 The Mantua/Clearview School District is highly rated and desirable!" "Welcome home to this property in Royal Oaks! Open the front door to the large living room with floor to ceiling windows allowing in the sunshine. Continue on into the dining room, it is great space and adjacent to the kitchen making entertaining easy. The eat-in kitchen in this property is an open floor plan to the great room with skylights, cathedral ceilings and wood-burning fireplace with brick surround. The sliding patio doors lead you to a large deck area and the partially fenced in yard that backs up to nature. On this floor you'll also have a half bathroom and main floor laundry room which also houses the newer heater and hot water heater and access to the 2-car garage. Head upstairs you will find the master bedroom with master bathroom with stand-up shower stall, three additional large bedrooms with double closets and large hallway bathroom. Make your appointment today! Property being SOLD AS IS,WHERE IS"
"Updated Home for Sale in Mantua. The Interior with 2,168 Sq. Ft. of Living Space, Living Room, Dining Area, New Kitchen with Granite Counters & SS Appliances, Lower Level Family Room with Brick Surround Fireplace, Four Bedrooms, and Two Full Bathrooms. Also Featured is a 1 Car Attached Garage, Back Patio, and In-Ground Pool"
"Well maintained 3 bedroom, 2.5 bath END UNIT on a cul-de-sac! The kitchen provides plenty of cabinet space, tile backsplash, and laminate flooring. Neutral decor throughout the main level. Living Room has crown molding and plenty of natural sunlight! The master suite features a cathedral ceiling, ceiling fan, walk-in closet, and en-suite bathroom. There are two additional bedrooms and a full bathroom on the second level. The FULL FINISHED BASEMENT adds extra space with three rooms ideal for a gym, study, and family room! 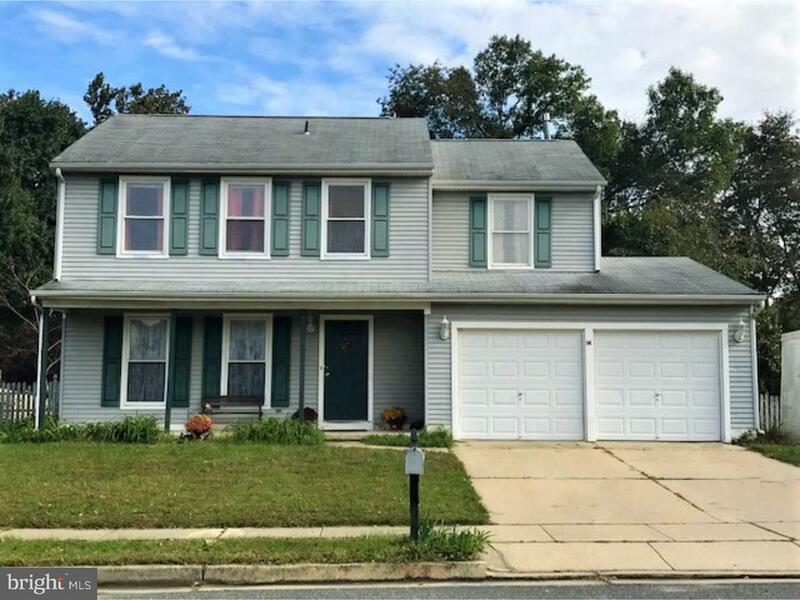 Mantua is close to major commuting routes, Philadelphia, Delaware TAX FREE shopping, shopping, restaurants and parks and recreation!" "Perched on an extra large lot in the family friendly community of Center City, welcome to 641 Olympia St. This 3 bedroom, 1 full and 1 half bathroom house, with lots of ~living~ space, is just waiting for you to call it ~home~. Enter into the large dining room where you~ll host many family gatherings and holiday meals. To the right, your eat-in kitchen with new stainless steel appliances, lots of counter and cabinet space, an island, offering even more storage, tiled flooring and a backsplash, all in complimenting neutral colors. To the left of the Dining room step down to the open Living room that flows to the sliders, granting access to one of the outside deck patios. Back inside, up to the 2nd level is where you~ll find 3 nicely sized bedrooms, all with ample closet storage. This level is where you~ll also find the full, well appointed bathroom. Down on the lower level to the Family room, enjoy some additional ~living~ space for reading, watching TV or checking out the peaceful view of your VERY large backyard. From this room you~ll also access the half bath, laundry room and door to the rear yard and 2nd deck patio. Add to this, a newer roof, brand new heating system and the fact that 641 Olympia is situated in one of the most sought after school districts in the state, you~ll be sure to put this on the top of your list of ~must see~ properties. Call today to arrange your personal tour! *"